When setting out to do some DIY especially using power tools, many amateurs may try to attempt the same without using the appropriate safety equipment. While most modern tools such as ours from Black & Decker are made with the user’s safety in mind, it is always recommended to use additional safety gear to guard against any unforeseen accidents and situations. 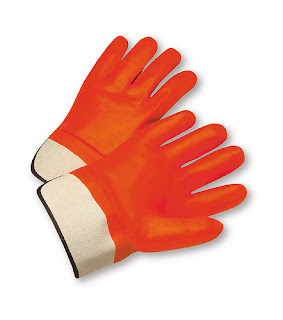 Gloves: You require heat resistant and if possible padded gloves to use along with appliances such as a power drill. This protects you from the vibration, as well as from any flying pieces of masonry that might come loose from the drilling. After long use, the appliance may get heated up a bit, and the gloves protect your hand from any uncomfortable heat too. Safety Goggles or Glasses: The eyes are one of the most sensitive parts of our body and it is important to protect them while using most power tools, especially for activities like metalworking. Even while using the drill, or painting, it is a good idea to wear goggles just to prevent any unexpected spills or accidents from affecting the eyes. Depending on the activity, a full face mask may also be a good idea. Earplugs: For protecting the ears while handling tools with loud noises and vibration, wearing earplugs makes your job much easier. The ear is a very sensitive organ, and continuous and regular exposure to loud noises can have a harmful impact. Clothing: It is important to wear loose and comfortable clothing, but not any trailing pieces like shawls or long mufflers, when involved in projects using power tools. For comfort, it is also advised to stick to fabrics that breathe well like cotton rather than synthetics. Others: When on a construction site and using power tools, it is necessary to protect yourself well and use safety clothing such as protective jackets and boots, and also a hard hat when necessary.